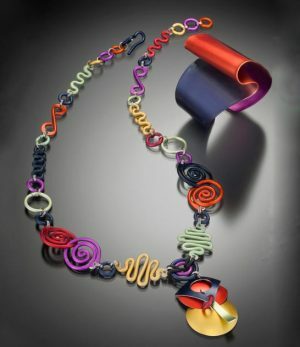 Colorful and whimsical, our necklaces make a statement of flair and individuality. 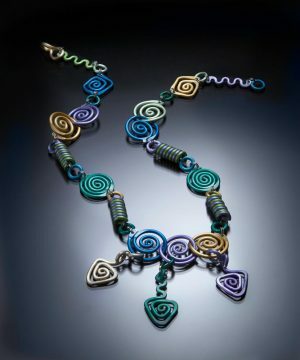 These wearable works of art come in your choice of color combinations and design, and are all limited editions. 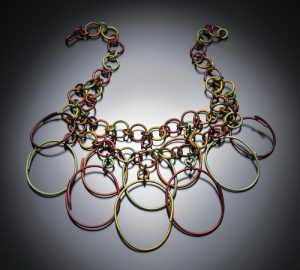 This necklace is 20″ long with overlapping ovals ranging from 1 3/4″ – 2″ long on a 2 tiered chain, shown in New Sahara. 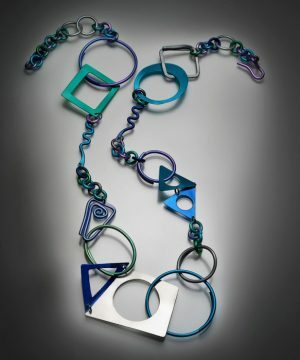 Necklace in 7 colors 31″L shown in Ocean. 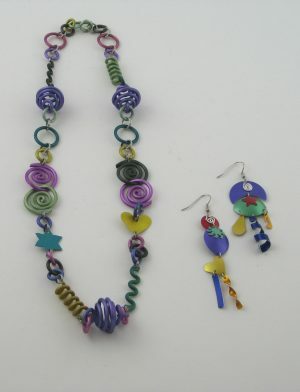 26” long necklace with hook closure, shown in Hanalei with MN3 earrings. 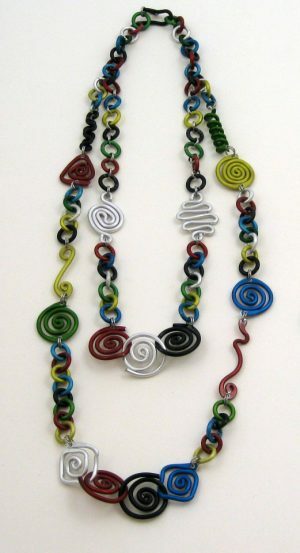 Necklace 22” long. 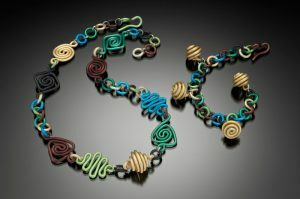 Shown in Juneau with SHB bracelet. 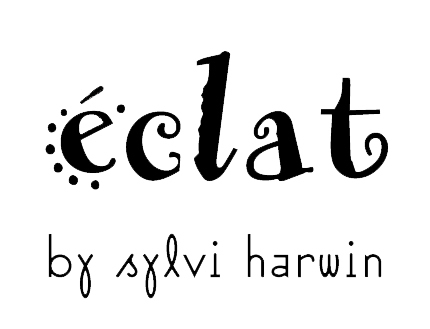 Necklace, 28″ overall length, shorter strand 20″ long in Rajastic. 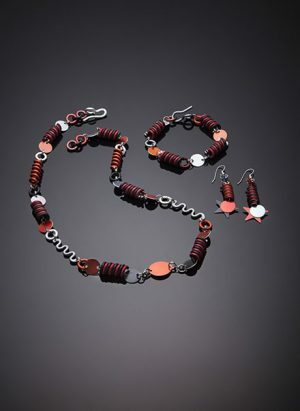 Necklace with double twisted wire “beads” and hook closure in 6 colors, 23” long, shown in Vesuvio with STB bracelet and STES earrings. 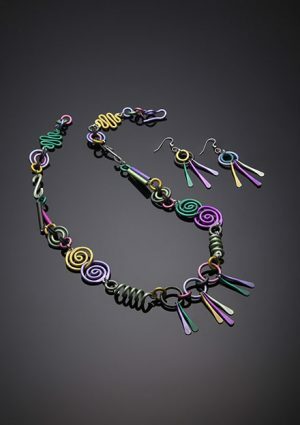 Wire necklace with tubes & dangles in 6 colors and hook closure 26” long, shown in Hanalei with SWE earrings.